Hello everyone! This is Tina from The Scrappin Rabbit blog. Today I have a sparkly gift shaped Christmas card to share. The sentiment is from the Simply Christmas stamp set. 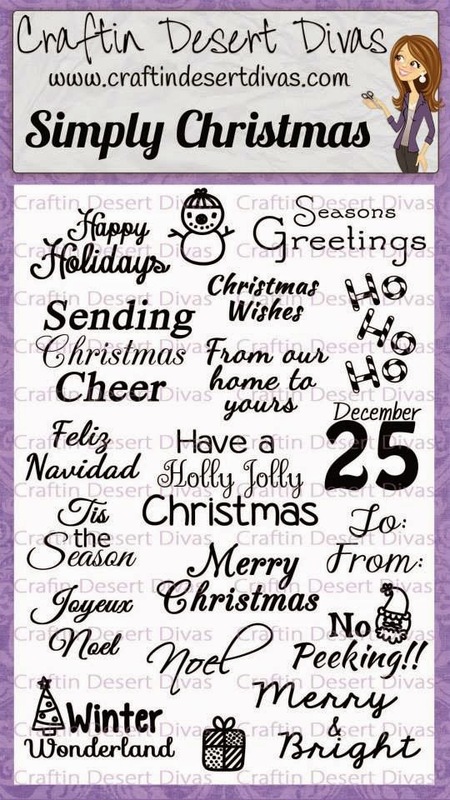 This stamp set is simply a must have for all your holiday projects. Here is a close up of the sentiment I used. I love that festive font! Here is a picture of the entire stamp set. To shop click HERE. Thanks for stopping by and I hope you have a wonderful day!